Health officials in Davao region reported that the number of measles cases this year has decreased compared to the same period last year. Workers’ group on Monday lamented that the labor woes involving a Japanese multinational banana firm was not tackled before the visit of Japanese foreign minister Taro Kono here in the country. Prior to the kick-off of the slated campaign for senators and party-list groups, Davao City Mayor Sara Duterte-Carpio has already filed a leave of absence to campaign for political hopefuls she publicly claimed to support, the Mayor bared on Monday. The Alliance of Concerned Teachers expressed alarm over the Court of Appeals’ junking of their petition to stop the Philippine National Police from profiling its members. There will be no adjustments and cancellations of flagship projects under the Duterte Mindanao 2030 in areas to be placed under the Bangsamoro Autonomous Region in Muslim Mindanao (BARMM). 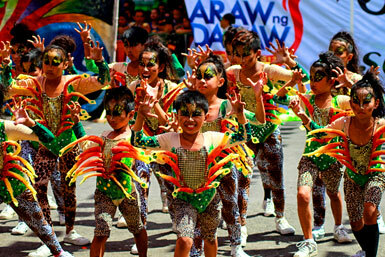 No political candidates will be allowed to campaign during the celebration of Araw ng Davao 2019. The City Veterinary Office (CVO) in this city has urged everyone to become responsible owners of pets as the office have been impounding scores of dogs due to reckless ownership.